Teaching History with Museums, Second Edition provides an introduction and overview of the rich pedagogical power of museums and historic sites. With a collection of practical strategies and case studies, the authors provide educators with the tools needed to create successful learning experiences for students. The cases are designed to be adapted to any classroom, encouraging students to consider museums as historical accounts to be examined, questioned, and discussed. New Chapter 9 captures the importance of art museums when teaching about the past. Updated Chapter 10 addresses issues of technology, focused on visitors’ experiences in both physical and virtual museums. New coverage of smaller, lesser known museums to allow readers to adapt cases to any of their own local sites. Specific pre-visit, during visit, and post-visit activities for students at each museum. Case reflections analyzing pitfalls and possibilities that can be applied more broadly to similar museums. A listing of resources unique to the museum and history content for each chapter. With this valuable textbook, educators will learn how to promote instruction in support of rigorous inquiry into the past and the goals of democratic values of tolerance and citizenship in the present. "A much-needed and well-written book about how teachers can and do use history museums as powerful teaching tools. 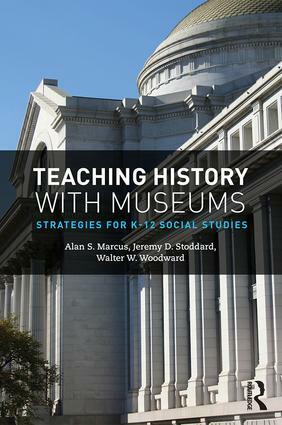 This is a valuable resource for museum professionals and classroom teachers alike." "A well-organized and theoretically-grounded volume featuring how to teach the history around us with museums, monuments, memorials, and historical places. Rich in practical methods." Alan S. Marcus is an Associate Professor in the Department of Curriculum and Instruction in the Neag School of Education at the University of Connecticut. Jeremy D. Stoddard is an Associate Professor in the School of Education at the College of William and Mary. Walter W. Woodward is an Associate Professor of History at the University of Connecticut and is the Connecticut State Historian.